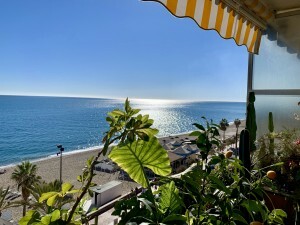 Villa with panoramic views across the coast and Mediterranean Sea. Located in a residential area, quiet, safe and close to services and also with easy access by road. 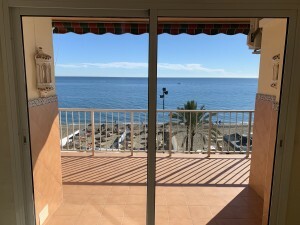 Less than 5 minutes from the motorway and Fuengirola center. Elegant entrance hall, office, large fully equipped kitchen with a table in the center plus laundry room and pantry. Spacious living room with fireplace and access to the porch. Bedroom with bathroom en suite and guest toilet. Laundry area, covered barbecue, bathroom with showers and sauna, also has an additional kitchen and bedroom for staff. Large living room very bright, 4 bedrooms with fitted wardrobes, dressing room and 2 complete bathrooms. Glazed terrace converted in TV room with panoramic views. The house is surrounded by a beautiful garden with private pool, large garage for 3 vehicles with automatic gate. 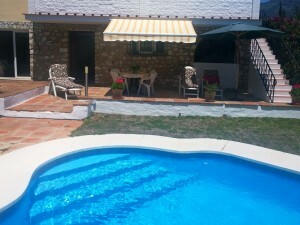 Property in good condition with solar panels, marble floors, music system, double glazed windows and air conditioners. Plot 922,74m2. Total built size 423,65m2. Living area 284,77m2. Porches 43,03m2. Terraces 39,79m2. Garage 56,06m2. IBI 1.000? per year. Rubbish 52? per year. There's no community charges. 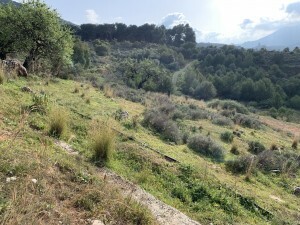 Train station of Torreblanca 1.1km.